Catalog > Let's Go Pro! For the ultimate sport's fan! 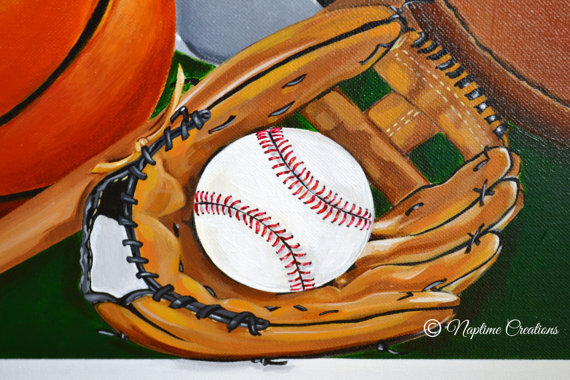 This is a 24x30 canvas but I can create any size for you! Sizes reflect price. 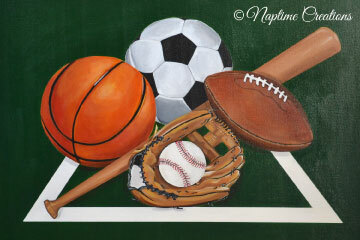 This canvas inlucdes soccer, baseball, football and basketball. Looking for another sport's collection? I can create any arrangement of sports for you. Personalization and any information (birthday, birthstats, quotes, etc.) can be added for an additional price. Numbers, team colors, logos can also be added for an additional price. Select background color to match room decor!